We are now well through November and the days have gotten shorter, there has been a noticeable drop in temperature and it has become very wintery. The winter brings a new set of challenges for all of us due to the more hazardous road conditions. Here are a few tips on how to prepare for and drive in the dark and wet winter weather condition. Sometimes a little preparation can help save a lot of bother at a time when you don’t really need it. Is your car winter proof? If you haven’t checked whether your car is winter proof yet, now is the time to do it. Is it in a suitable condition to tackle those cold frosty mornings and dark wet evenings of the winter months? How long has it been since your last service? Maybe now is a good time to get those brake pads checked and the oil changed? All of the following checks should be included in a routine service at your local garage. If your car is not due a service, here are a few checks that you yourself can carry out without spending too much time. And you don’t have to be a mechanic either! Do the back or front window wipers need new wiper blades? Are they both working properly? Are the window washers working and is the washer container full with water? Do your tyres have an adequate thread depth? The minimum thread depth requirement in Ireland is 1.6 mm on 75% of the tyre. A little more may be required in the winter. Does your cooling system contain the proper coolant? Do you need to treat it with anti-frost? Do your indicators, brake lights, parking lights, dips and headlights work properly? You may need to get a friend to stand in front and behind the car as you check them. All very important on those dark wet evenings. If you are concerned about any of the above checks, call in and ask at your local garage. Most mechanics would be only too happy to help you out with some friendly advice. Shorter evenings mean less light and in the middle of winter the darkness starts to creep in at around 4 pm. If you are driving a dark coloured car in these conditions, it is difficult to be seen. Therefore, it is advisable to have your lights on during the day, particularly in the early evening. During the day the parking lights help to make you more visible. As the day draws towards 4 pm, you may need your dipped headlights. The recommended time to switch on your dipped headlights is a half hour before dusk and after dawn. No harm in doing it earlier. In normal conditions headlights are used to increase the motorist’s visibility at night time. Visibility in fog or falling snow during the day is poor but at night it is a lot worse. Using the full headlights through fog or falling snow unfortunately does not help and in most cases, has the opposite effect of decreasing your visibility by causing a reflective glare off the fog or falling snow. Dipping your headlights eliminates this problem to a certain extent and increases your visibility closer to the car. In the winter months traffic is moving slower and the condition are more treacherous. Plan to depart on your journey ten to fifteen minutes earlier giving yourself that little bit more time. This can sometimes save you a lot of bother in the long run. How many times have you been running late to open the front door and realise your car is frozen over? Take a few minutes to think about and plan your journey. The weather conditions, the type of road and the expected traffic should all be taken into consideration when choosing the best route to your destination. In frosty and snowy weather, try to keep to the main roads that have been salted or gritted. A little bit of planning can help you avoid that traffic jam at a busy junction or a dangerous stretch of icy road. Make sure those windows and mirrors are clear and your visibility out of the car is good. Consider your fellow motorist and keep the lights and indicators clean also. A quick wipe with a damp cloth in the morning will do the trick. Making the following few small adjustments to you driving will make you a safer winter driver. Slow Down. Icy roads mean reduced traction and a higher chance of skidding or losing control of the car. Stop more Gradually. Start reducing you speed a little earlier coming into junctions. Gentle use of the brake and gears is what you are looking for. Uses engine braking. Increase your Stopping Distance. It can take from three to ten times longer to stop on an icy road. Give yourself a larger safety gap between you and the vehicle in front of you. Avoid Unnecessary Overtaking. Overtaking usually involves increase in speed. Ask yourself how much time are you really going to gain if you overtake this car? What does the term ‘Engine Braking’ mean? Engine braking is a technique involving the use of the accelerator and gears to reduce the speed of the car instead of the brakes. Engine braking, if used correctly helps avoid skidding and should be used as much as possible in snow or icy conditions. Early reaction to junctions and hazards on the road is importing when employing this braking technique. Leave a little earlier and slow it down just a tad. The best way to avoid difficulty in the winter weather condition is to avoid driving if it is not necessary. If you have any further questions or queries don’t hesitate to call into to the Swilly Group office on Business Park Road in Letterkenny, give us a call on 074-9151212 or email us on info@swillygroup.com. Towing a Light Trailer – Are you legal? When towing a trailer of any description with a car or light van, it is important for the driver to ensure that he/she is legally compliant. There are a number of checks that need to be carried out prior to going on the road. We’ve outlined these checks in the following blog. Always remember, the speed limit for a car or van towing a trailer of any size is 80km/hr. 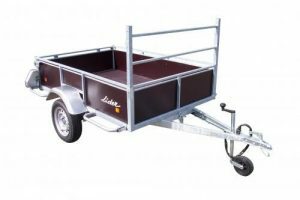 Light trailers that can be towed by cars or light vans are categorised in two groups. O1 trailers are those with a maximum allowable mass (MAM), also known as the design gross vehicle weight (DGVW), of no greater than 750Kg. 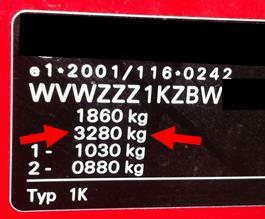 O2 trailers have a MAM above 750kg and not greater than 3,500kg. Firstly, drivers should ensure they have the correct licence (category) to tow a trailer with a car/light van. Drivers with a car/light van B driving licence only are permitted to tow an O1 trailer with a maximum allowable mass (MAM) of not greater than 750kg. B driving licence holders are also permitted to tow small O2 trailers. If the MAM of the trailer is more than 750kg (O2 trailers), a B driving licence holder is permitted to tow this trailer if the combined maximum mass of the towing vehicle and the trailer is not greater than 3,500kg. Furthermore, the unladen (empty) weight of the towing vehicle must be equal to or greater than the MAM of the O2 trailer. A driver with a category BE driving licence is permitted to tow a trailer up to a maximum mass of 3,500kg (O1 or O2 trailers). The weight of the trailer that can be towed is restricted by the manufacturer of the towing vehicle but cannot exceed 3,500kg for drivers and vehicles in the EB licence category. Drivers must ensure they don’t overload the trailer. The MAM of a trailer can be found on a small aluminium plate usually located on the hitch or front panel of the trailer. 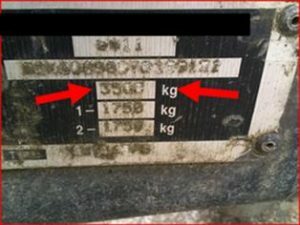 The MAM printed on this plate is the maximum allowable weight that the trailer is designed to support (including the weight of the trailer). To work out what (pay) load you can carry on the trailer you must subtract the empty weight (Unladen) of the trailer from the MAM. Drivers must also ensure they are compliant with the towing capacity of the vehicle, referred to as the Gross Train Weight (GTW). The GTW is printed on the vehicle weight plate, commonly located inside the front passenger or driver’s door of most cars and vans. The Gross Train Weight (GTW) is the manufacturer’s maximum weight specification that the combined weight of a loaded vehicle towing a Loaded Trailer must not exceed. This is also known as Gross Combination Weight (GCW). More detailed towing and safety information can be found in the Drivers Manual located in the vehicle glove compartment. Van drivers should be aware that vans generally don’t have a high Gross Train Weight. The reason being that the GTW is directly related to the empty (unladen) weight of the towing vehicle. To maximise their carrying capacity, vans generally have a Light unladen vehicle weight which means a low towing capacity. Vans are designed primarily for carrying and not for towing. Braking systems are required to be fitted to O1 Trailers with MAM greater than half the MAM of the towing vehicle. All O2 Trailers require a braking system. It is important for a trailer braking system to include a Service Brake, a Parking Brake and a device capable of automatically stopping trailer if it becomes detached while in motion (i.e. breakaway cable or secondary coupling). More stringent requirements are required for certain trailers. Please consult your manufacturer or refer to the RSA website for more details. The Road Safety Authority (RSA) provide some excellent learning resources for drivers wishing to find out more about towing trailers with a car or a light van. Click on the following link to go to this RSA website of trailers. http://www.rsa.ie/en/RSA/Your-Vehicle/About-your-Vehicle/Example-of-non-Dup/Trailers-/Advice-and-Checks-for-Trailers-/. The RSA has also provided a series of 6 short you tube videos covering all aspects of towing a trailer. Click on the following link to go to these you tube videos. https://youtu.be/HhHyUMSn31s. There is some important information on the coupling and uncoupling as well as safe loading and unloading of trailers that all drivers should be aware of. Swilly Group provide pre-test and advanced driving tuition for drivers of vehicles towing trailers. If you have any further questions or queries don’t hesitate to call into to the Swilly Group office on Business Park Road in Letterkenny, give us a call on 074-9151212 or email us on info@swillygroup.com. We have now entered the final year of Cycle 2 of the Driver CPC for many bus and dual Licence holders. The second Driver CPC cards will be issued in 2018 to many existing bus and dual drivers who have successfully completed cycle 2 of the Driver CPC periodic training programme. Here’s a quick overview of the story so far. The Driver CPC programme was first introduced in the EU Directive 2003/59/EC and later transposed into Irish law in 2008 as SI No 359 European Communities (Vehicle Drivers Certificate of Professional Competence) Regulations 2008. This legislation made it a legal requirement for “new” bus and truck drivers to complete and pass CPC theoretical and practical exams to gain their Driver CPC qualification. If successful, a driver then applies to the RSA for a Driver CPC card which he/she must carry when driving. As a CPC card holder, the driver is then required to participate in periodic Driver CPC training. This involves attending Driver CPC training of 7 hrs (1 day) each year over a 5-year cycle, amounting to a total of 35 hrs over the 5-year period. Dual Licence holders must attend 6 days over the 5-year cycle. When the Driver CPC legislation came into force in 2008 (Buses & Dual) and 2009 (Trucks), “existing” licence holders were exempt from the Driver CPC exams and entered directly into the 5-year periodic training cycle of completing one Driver CPC training day per year. The first Driver CPC five-year cycle ended in September 2013 for all “existing” Bus and Dual licence holders and 2014 for Truck Drivers. Bus Drivers who had attended 5 days and dual licence holders who had completed 6 days of Driver CPC training were then issued with Driver CPC cards (valid for 5 years). The periodic training continued and Cycle 2 began in 2013 (Bus and Dual) and 2014 (Truck). The Driver CPC periodic training cycle 2 will come to a conclusion for Bus and Dual licence holders in September 2018. The second round of Driver CPC cards will be issued to many Bus and Dual licence holders, provided they have completed their Driver CPC periodic training over the previous 5 years. Cycle 2 will be complete for Truck Drivers in September 2019. The September Cycle 2 deadline does not apply to “new” driver (obtained a Bus licence or Truck Licence and the Driver CPC card for the first time after September 2008 and 2009 respectively). The expiry date of the Driver CPC card marks the end of the driver’s 5-year cycle. Five periodic training days (one day each year) must be completed before a new card can be applied for. As 2018 is the final year of cycle 2 for many existing drivers, it is important that Drivers check their Driver CPC training records to ensure their periodic training requirements have been met. The easy-to-use RSA website called MYCPC allows drivers to view their Driver CPC records online. When a driver completes a periodic training day with an RSA approved training provider, the driver details are uploaded to the RSA MYCPC database. When viewed through the RSA website, MYCPC shows which modules have been completed, the Module status and the tutor who provided the training. Drivers can also print off a copy of your CPC training records. Drivers can easily register for MYCPC on the RSA website (www.rsa.ie) with a driver number, email address and date of birth. If you have fallen behind on or missed any of your CPC training days, drivers should contact the RSA Driver CPC Unit (cpcunit@rsa.ie) to receive guidance on what they should do next. If you were absent from driving for a period (e.g. employed in another industry) or out of the country for employment and missed training days, you may be required to catch up and complete a number of Driver CPC modules in the one year. Therefore it is important that you check your records or MYCPC sooner rather than later. Remember, you have twelve months to complete your final DCPC training day in Cycle 2. You don’t have to wait till September 2018! It’s that time of year again when we return to our regular routine of chaos involving school runs, football training, dancing classes and swimming lessons to name but a few. As the back to school rush begins, traffic volumes are known to increase significantly from late August into the start of September. Therefore, it is important that we as drivers be extra cautious around the schools and on the roads to ensure the safety of everyone. Here are a few back to school safe driving tips that will help you achieve this. Know and Follow your School Traffic Systems: If you’re dropping off children at schools, familiarise yourself with the system in operation at the school. Many schools have traffic management procedures in place to allow for a safe and efficient drop off system to operate. It is important for the safety of the children that you follow these procedures. Allow yourself plenty of time: As the traffic volumes increase significantly when the schools return, you will need extra time to get to work or to school. New parents dropping their children off at school for the first time will be dealing with the emotional trauma that this involves. Therefore, they might take a little longer at the school. Be patient and allow extra time for delays. We were all first timers too! Have Patience and show Courtesy: When you are driving to work or to school, have patience with other drivers. You just never know what sort of day the other driver is having or what challenges they are having to deal with in life. Therefore, if we have patience and show courtesy to other drivers, it may cheer that person up. Everyone appreciates an act of kindness! 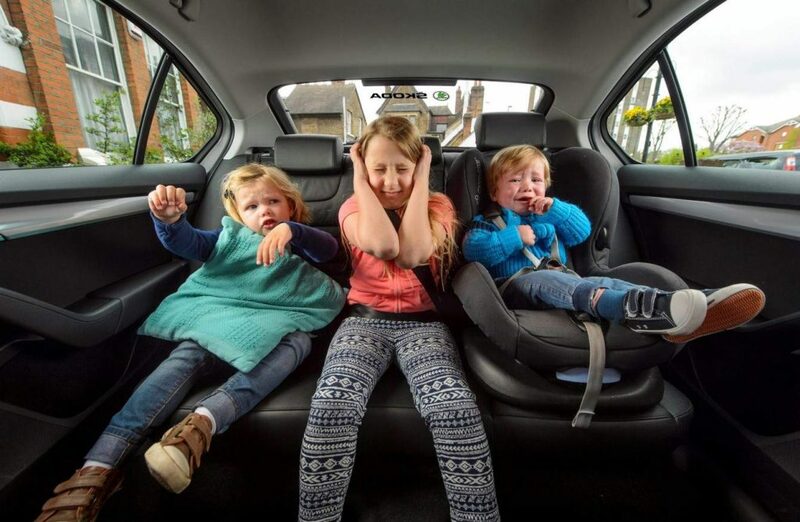 Park Safely: Unsafe or double parking at schools, or indeed in any busy location, can cause major disruption and delays to traffic as well as introduce major safety risks for children and parents. Therefore, always park in a safe location, even if it involves walking a little further with your child to the school. We all need the exercise! Drive Carefully around Buses: Drivers should always show extreme caution around school buses. Children are very unpredictable and may jump off a bus and run across a road without realising the danger. Remember many children are buzzing with the excitement of starting a new school year and seeing their friends again after the summer break. A learner driver once asked his driving instructor to explain the roundabout lane rules to him. His instructor said “It’s very simple. “Think of the roundabout as a clock”. “If you’re exiting before 12 o’clock, take up a position in the left lane”. “After 12 o’clock, take up a position in the right lane”. The learner appeared confused and though to himself for a few seconds before saying “So in the morning, I take the left lane and in the afternoon, I take the right lane??”. Motorist sometimes interpret the rules of the road in very different ways. However, to drive safely on the road as motorists we need to firstly interpret the rules correctly and secondly be conscious of the fact that other motorist may have a different understanding of the rules. Roundabouts are a traffic control that generates much discussion and debate among Irish Motorists. If taking any exit from the 6 o’clock to the 12 o’clock position, motorists should generally approach in the left-hand lane. If taking any exit between the 12 o’clock to the 6 o’clock positions, motorists should generally approach in the right-hand lane. If there are road markings showing you what lane you should be in, follow those directions. 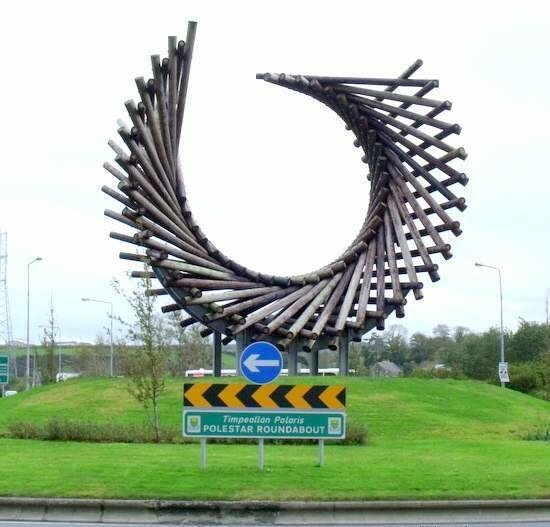 Traffic conditions might sometimes mean you have to take a different approach but, in the main, the ‘golden rule’ will help you to drive safely on almost any roundabout. Motorists must be very observant and ensure they read the signs and observe the road markings on their approach to a roundabout (particularly if you are driving in an unfamiliar area). Local Authorities and the NRA have been using lane arrows and road signs to direct traffic into particular lanes and manage traffic at roundabouts. For example, a very common change is to direct motorists travelling straight on (12 o’clock) to take up position in the right-hand lane. This leaves the left lane exclusively for motorist turning left. This allows traffic to flow more freely at roundabouts where the majority of motorists are leaving at the first two exits. As motorists, we use our indicators to “indicate an intention” to make a manoeuvre to the left or right. Therefore, it is important to use indicators approaching and when on roundabouts at the right time to inform other motorists of our intentions. Remember an indicator does not give you the Right of Way. Making a left turn (First Exit), indicate ‘left’ as you approach and continue to indicate until you have taken the left exit. Making a left turn (second exit), indicate ‘left’ once you’ve passed the first exit and continue to indicate until you have taken the second exit. Going Straight ahead (12 o’clock), do not indicate ‘left’ until you have passed the exit before the one you intend to take. 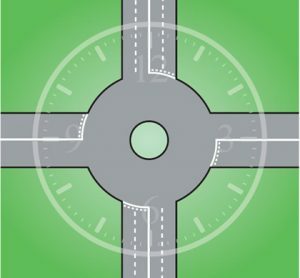 Making a Right Turn (exit after 12 o’clock), approach in the righthand lane (unless road markings say otherwise), indicate ‘right ‘on your approach to the roundabout and leave your right indicator on as you drive around the roundabout until you have passed the exit before the one you intend to take. Then change to the ‘left’ turn indicator. CV writing is an art in its own right. 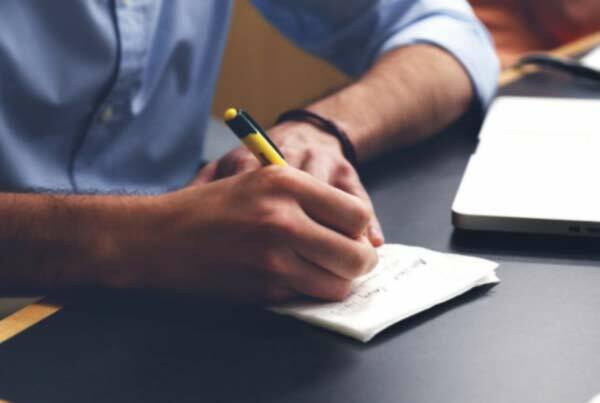 There is no such thing as one size fits all when it comes to CV writing. No Generic CVs please! Your CV should be viewed as the golden ticket to securing an interview for your ideal job! The way to do it is implement these top tips and you’re well on your way…. 1). Get the basics right: make sure to use a clear and concise structure/format. Some key information to include is contact details, personal profile, work history and/or work experience, education/qualifications, relevant skills to the job, interests and references. It is crucial that the time line is accurate with start dates and end dates for employment and education. Potential employers want to get a sense of your longevity in a role or with a particular organisation. Spelling and grammar are vitally important. If you get this wrong early on; your CV is at risk of being moved into the NOT shortlisted pile! 2). Profile: The profile section of your CV will be read and may determine whether or not the employer reads any further. A well written and focused profile should highlight your relevant experience and skills in a snapshot. Keep it short and concise (use the job description to help you select the key skills to focus on before writing your profile piece). 3). Don’t Undersell Yourself: This is your opportunity to sell yourself, your skills and your experience. Think of your CV as a Sales Brochure. Ask yourself what selling points are going to attract the employer’s attention and call me for an interview? The best way to do this is to carefully read the job description and the person specification supplied by the employer/recruiter. Make notes on the key elements and attributes outlined. Match your current skill set and your experience to the job description and specification. Your Skill set should be customised to every job you apply for. There are some key skills that all employers look for in an employee. Some examples are: communication skills, people skills, team skills, organisational skills and problem solving. It is not enough to list these skills; you must provide evidence that you have demonstrated these skills in a work or personal situation. For instance: “demonstrated excellent communication skills and team working skills when you organised a family fun run for you children’s school”. 4). Interests/Achievements: Firstly stay clear of the word “Hobbies”, this is very much a term you will see on a CV of a teenager. As an adult pursuing a career the words “interests and achievements” read better and come across very professional. This section provides you with the opportunity to add some personality to your CV. However there is a fine line. While it is good to show some personality you must balance the act of professionalism too. It is very boring to see a list of interests reeled off such as “watching TV, reading, playing computer games, keeping fit and spending time with family and friends”. Use the Interests and Achievements section of your CV to demonstrate attributes your potential employer is looking for e.g. team player – manage/train an underage football team for the local soccer club demonstrates organisational skills. Volunteering twice a week to read to the elderly demonstrates empathy and kindness, skills required is a Healthcare or Childcare position. Use this opportunity to sell and push your key skills one last time before your CV comes to an end. 5). References: Many CVs will state “available on request”. This is one sure way of your CV to end up in the NOT shortlisted pile once again. Remember you are seeking an interview; make it as easy as possible for the prospective employer/recruiter to find out good information about you. Provide at least two references, ideally from your most recent employment. Make sure that you have permission to supply use someone as a referee. You don’t want a prospective employer/recruiter to contact one of your referees to find out that individual no longer works there or worse again does not remember you. Make sure to call the referee and get permission and inform them of the role you are applying for and what it entails. By doing this when your referee gets the call they will be fully versed and in a much stronger position to give positive feedback about your work ethic and capabilities. If you require more support and advice on CV preparation, please don’t hesitate to contact the Swilly Group Recruitment Division. Telephone (074) 9151212 or email info@swillygroup.com to find out more how we can help you. ABOUT THE AUTHOR: Tara McAssey is an Employment Officer and Recruitment Consultant with Swilly Group. She has been offering career planning advice for many years. She has supported many employers with candidate searches and has a wide network of employer contacts across a number of industry sectors. The Swilly Group welcomed the release of an information booklet and a series of You Tube videos by the RSA on the regulations around towing of light trailers. 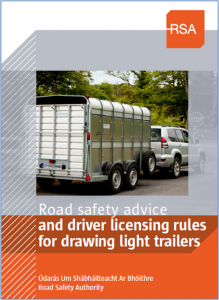 The information Booklet “Road Safety Advice and driver Licensing rules for drawing light trailers” can be downloaded for free from the RSA’s website. Stephen Sweeney, Director of Driving Services said “There is still a lot of confusion around licences, weights and general safety requirements around towing of light trailers”. “We are delighted to see the RSA develop this booklet and the short videos”. “Over the last number of years, we have had increasing numbers of drivers from the construction and agricultural communities taking the driving test in licence category BE (Car/Van and Light Trailer)”. 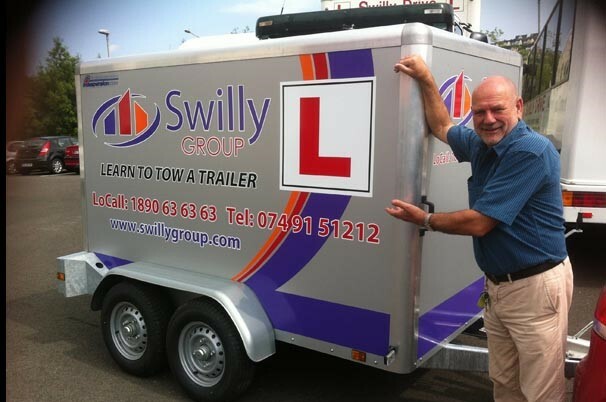 The Swilly Group offers driver training for Jeep and Trailer Licence category BE. If you require more support and advice on the towing of light trailers, please don’t hesitate to contact the Swilly Group Driving Division. Telephone (074) 9151212 or email info@swillygroup.com to find out more how we can help you. Doing an interview for a new job is probably one of the most nerve wrecking things you will do in your life (up there with the Driving Test). Here are some of the Do’s and Don’ts of interviews. Follow them to secure your ideal job. Research the company and the position you’re applying for. Research typical interview questions and practice your answers. Be sure to dress appropriately and be neatly groomed. Personal Presentation is critical. Make sure you have fresh breath, particularly if you are a smoker. Plan to arrive ahead of time. Ideally you should be present on the premises 10 minutes before your interview. Always have the company contact details with you, just in case you get delayed. Bring all relevant documentation. Present the documents neatly. Ensure you have a few copies of the CV you submitted to this company. Greet everyone and be pleasant. Throughout the interview maintain good eye contact. Be enthusiastic about the job, the company and the industry sector in general. Listen carefully to the questions being asked. If you don’t understand the question, ask for further clarification. Make sure to highlight your key skills, achievements and talents. Know your CV inside and out. Always, answer cliché questions such as “What is your biggest weakness?” honestly and with a follow up that shows you are actively working on your weaknesses. Prepare one or two questions to ask about the job, company or the industry. Close by indicating that you want the job. Ask what the next steps are in the process. Thank the interview panel for their time. Give a good strong handshake. When you leave the interview, you should record some details. Learn off your answers by heart. Dress casually or inappropriately. Always wear a suit or smartly. Be late. You don’t want to get off to a bad start. Arrive Stressed. Take 15 minutes before hand to relax with a coffee in a nearby café. Practice your breathing. Bring someone else along with you to interview. Not even in the car. Your spouse, kids and pets are definitely a No No! Address your interviewers by first name unless invited to do so. Slouch, fidget or yawn during the interview. Tell jokes or speak about controversial topics or politics. Be cocky. There is a fine line between confidence and over confidence! Speak negatively about yourself, your previous employer or a previous work colleague. Offer one word answers “yes” and “no”. Interrupt the interviewer when they are asking a question. Listen carefully and take your time when answering the question. Discuss personal or family problems. Bring your mobile phone into the interview room. Ask questions about salary, benefits, bonuses or holidays. The terms and conditions of the job are usually only discussed with the person who is offered the position. Say you have no questions when asked at the end of the interview. Call immediately after the interview for feedback. If you require more support and advice on interview preparation and techniques, please don’t hesitate to contact the Swilly Group Recruitment division. Telephone (074) 9151212/1890 63 63 63 or email info@swillygroup.com to find out more how we can help you. ABOUT THE AUTHOR: Tara McAssey is an Employment Officer and Recruitment Consultant with Swilly Group. She has been offering career planning advice for many years. Tara has supported many employers with candidate searches and has a wide network of employer contacts across a number of industry sectors. The average person changes jobs (often careers) multiple times over his or her lifetime! Often because they have never sat down and taken the time to map out a career plan for themselves or really assess what it is they want from their career. Some would ask does it make a difference. The answer is yes and here is why? What is the difference in a Job and a Career? A job is a series of tasks concerned with making a living. A career is about having a more long term plan that allows the progressive growth of a person while at the same time making a life. It is never too late to draw up a career plan. It’s also something that should be revisited on a regular basis to help keep you focused. It is not a task that should be put off or done half heartily, it should be liberating and fulfilling, mapping out the direction you want to take your career and the steps that you need to take to make your goals a reality. Knowing yourself is the first step in the process. In order to do this you need to be prepared to do some soul searching and reflection. I don’t mean dwell on the past, but to review and reflect by mapping your path to date examining your past roles and your levels of satisfaction in each of the previous employments. You need to review and reflect on the reasons for why the path looks as it does today. There are four key questions you must ask at this stage. 1). Are you happy with how the path looks? 2).Could you have done anything better? 3).What might you have done differently? 4).What can you do differently in the future? You need to reflect on your likes and dislikes, needs and wants, not just in relation to your job but your life. The simplest approach to starting this process is too draw up a simple two column list, likes and dislikes. Use the list to examine current job satisfaction or future career plans against these lists. If you find that for the most part job activities fall into the like list and the balance between work and home life are what you want then you are well on your way to achieving your targets. However, if you find they fall mostly in to the dislike column, then it is time to begin the process to search for a new job or career. It is really important to know what really drives you as an individual. What motivates you in your job or career? What exactly is your vision for your ideal career? Examine your hobbies and interests too, these are important for life balance. In some cases, with careful planning, hobbies can transform into careers. Like the old saying goes “Do what you love and you will never work a day in your life”. Explore your options. Ask yourself are you currently working in the right industry but perhaps just with the wrong company. If this is the case all you require is a job change. If you are not happy working in the industry, then it is a career change you need. Examine your skill set. Look beyond your current job or career. 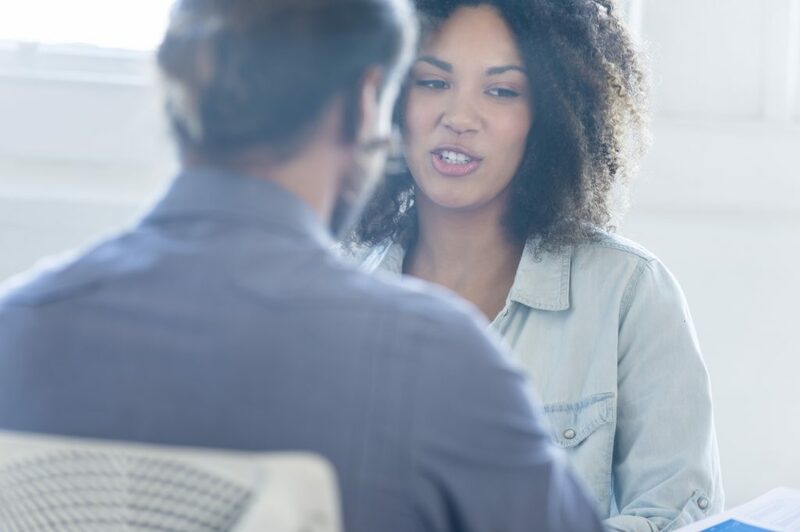 Don’t focus so much on job titles held down through the years but more on the transferrable skills that you have developed in each of these roles. By only examining job titles, particularly if you have a long history in one specific sector you are narrowing the scope of your search and this will prevent you from looking outside your current sector. Focus on the transferable skills. This will allow you to look at a wide range of jobs, careers and industry sectors for which you can apply yourself. Research the jobs and career trends in other industry sectors, particularly in the areas that you are interested. It is critical that you are aware of new industry sectors or those with expected growth. This will have an impact on your decision making process. Remember knowledge is power and it will help you strengthen your position, aligning your skills and identifying skills that may need further development. Set achievable SMART Goals. Both short (in the coming year) and long term goals (beyond a year) goals should be set. 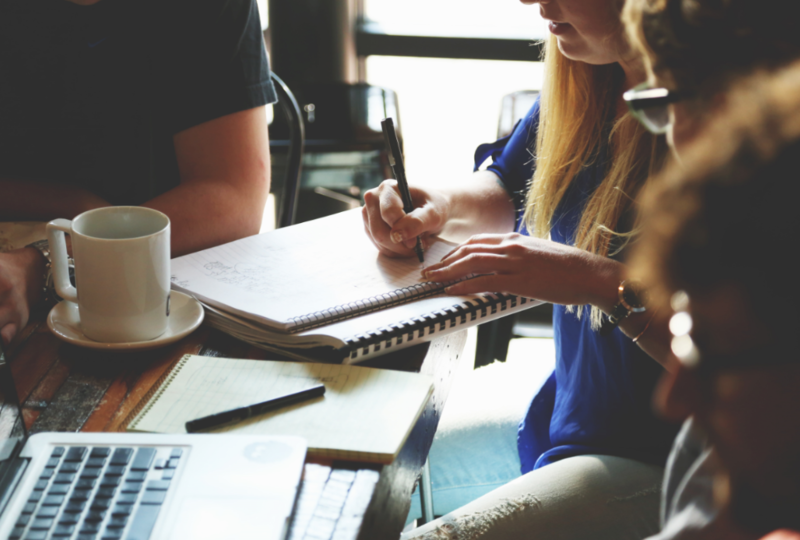 For example, when examining your skills set, you may have realised that you need to undertake a short course or a more long term approach to gain a particular qualification. Setting goals breaks down the tasks into small manageable chunks which can make the process less daunting. Remember make sure you set SMART Goals (Specific, Measurable, Achievable, Relevant and Time Bound) to help you achieve success. This is a process that will need to be reviewed regularly to ensure you are focused and also provides great satisfaction as you start to tick each goal completed, moving you one step closer to your overall targets. During goal setting stage, highlight any potential barriers, look for creative solutions to overcome the barriers and don’t use them as excuses not to move your career forward. Making Decisions. This process will be a lot easier to tackle once you make the effort of reviewing and reflecting on your current status, researching your options and setting your goals. You will find it a lot easier to take that leap because you are very well informed and will feel much more confident in your approach. You will be ready to Move On. Moving On may take some time, however if you review and reflect and treat your career plan as a living document, reviewing and updating as you reach each goal, you will gain real satisfaction knowing that you are well on your way to personal fulfilment on the career path that you want for yourself., creating the life you want to experience. Brian Sweeney from the Swilly Group summarises the Driver CPC Training (periodic training) requirement that bus and truck drivers must comply with in 2011. Watch the short DVD on the Swilly Group YouTubechannel to find out more. The Swilly Group has also uploaded a short blog on their web site (www.swillygroup.com) entitled “Driver CPC Modules – What Sequence?” outlining the importance of planning the sequence of driver CPC periodic training modules for drivers with bus and truck licences. Call us now to find out more about how the Swilly Group can help you at 1890 63 63 63 (Dublin) or (074) 91 51212 (Donegal).